Native American children are being deprived of equal protection when it comes to foster care and adoptions because federal law places tribal supremacy ahead of the children’s best interests, a class-action lawsuit filed today alleges. The suit, filed by the Goldwater Institute in U.S. District Court in Phoenix, challenges portions of the Indian Child Welfare Act as it applies to Native American children living off-reservation. The suit details the cases of two Arizona families, each of which sought to adopt a child with Native American heritage only to have their plans held by the provisions of the 37-year-old federal law. “Alone among American children, their adoption and foster care placements are determined not in accord with their best interests but by their ethnicity, as a result of a well-intentioned but profoundly flawed and unconstitutional federal law, the Indian Child Welfare Act,” the suit states. It names as defendants the federal Bureau of Indian Affairs, the U.S. Department of the Interior and the state Department of Child Safety. Federal officials did not have an immediate response. Arizona Department of Child Safety Director Greg McKay is named in the suit because his agency has to follow the provisions of the federal law. The agency said it would not comment until the case is resolved. The suit noted 1,336 Native American children were in out-of-home placements as of last September, citing the latest DCS data. If not for the federal law, the suit alleges, some of those children could be in permanent family situations. WASHINGTON, D.C. – In keeping with President Obama’s commitment to supporting Indian families and building resilient, thriving tribal communities, Assistant Secretary – Indian Affairs Kevin K. Washburn today announced action the Bureau of Indian Affairs (BIA) has taken to help prevent the further dissolution of American Indian and Alaska Native families through the misapplication of the Indian Child Welfare Act (ICWA) of 1978 (Public Law 95-608). 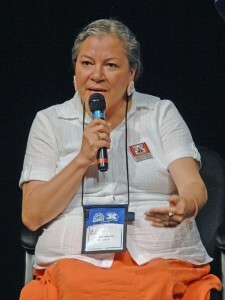 In his address to the National Congress of American Indians at its winter session in Washington, DC, the Assistant Secretary announced that the BIA will publish this week its revised BIA Guidelines for State Courts and Agencies in Indian Child Custody Proceedings to support the full implementation and purpose of ICWA – the first such update since it was issued over 35 years ago. Congress enacted ICWA after hearings which found that an alarmingly high percentage of Indian families had been broken up when public and private agencies subjected Indian children to unwarranted removal, most of whom were eventually placed in non-Indian homes. ICWA set forth a federal preference for keeping American Indian and Alaska Native children with their families, including extended families, and deferring to tribal judgment on matters concerning the custody of tribal children. In initially carrying out Congress’ intent, the BIA published on Nov. 26, 1979, Guidelines for State Courts; Indian Child Custody Proceedings to inform state courts and agencies of ICWA’s requirements in Indian child custody proceedings. Until today, those guidelines had not been updated. The guidelines will provide long-overdue guidance to state courts as they work daily to ensure full implementation of the law. BIA’s updated guidelines build upon the good work of states like New Mexico and Wisconsin that are actively working to implement ICWA as Congress envisioned. In Wisconsin, the state codified ICWA into state law to facilitate implementation. New Mexico is working with tribes to review its implementation of, and compliance with, ICWA. As part of this effort, the New Mexico Tribal-State Judicial Consortium developed an ICWA Judicial Bench Card that provides reference materials for tribal and state judges as they handle ICWA cases. The BIA guidelines issued this week will serve as another resource for state and tribal courts and agencies. Several long-term studies have been conducted of Native American adult adoptees. Despite socioeconomic advantages that many of them received by virtue of their adoption, long term studies reflect that these adoptees experienced increased rates of depression, low self-esteem, and suicide. In addition, many adult adoptees continue to struggle with their identities and have reported feelings of loneliness and isolation. Today, the number of Native American children in foster care alone is still alarmingly high, and they are still more than twice as likely to be placed in foster care overall. The United States Department of Justice is taking action in states like South Dakota to ensure that Native children and families receive the full protection of ICWA. These guidelines will assist those efforts to ensure that states fully implement the federal law enacted to protect tribal communities. In enacting ICWA, Congress recognized that this was not a tragedy only for American Indian and Alaska Native families and children, but also for tribes who have lost generations of future members and leaders. In enacting ICWA, Congress sought to carry out the United States’ trust responsibility for protecting Indian children and the stability and security of American Indian and Alaska Native tribes and families. Protecting Indian children reflects the highest ideals of the trust responsibility to Indian tribes and the guidelines issued today are a part of this Administration’s broader approach to ensuring compliance with ICWA. In 2014, the Department of the Interior invited comments to determine whether to update its guidelines and what changes should be made. The Department engaged in a process that included three listening sessions with tribes and two listening sessions with judicial organizations across the country to hear comments on how the guidelines should be updated. The Department received comments from those at the listening sessions and also received written comments, including comments from individuals and organizations interested in Indian child welfare. An overwhelming proportion of the commenters requested that Interior update its ICWA guidelines and many had suggestions for revisions that have been included. The Department reviewed and considered each comment in developing these revised guidelines. In his remarks, Assistant Secretary Washburn noted instances in which the ICWA law and BIA guidelines were not followed, preventing the goals of ICWA from being realized. These circumstances continue to alarm tribal leaders, Indian families, and Indian child welfare advocates. The updated guidelines will help ensure tribal children are not removed from their communities, cultures and extended families. The guidelines clarify the procedures for determining whether a child is an Indian child, identifying the child’s tribe, and notifying its parent and tribe as early as possible before determining placement. The updated guidelines also now provide comprehensive guidance on the application of active efforts to prevent the breakup of the Indian family. They also provide clarification that ICWA’s provisions carry the presumption that ICWA’s placement preferences are in the best interests of Indian children. The Assistant Secretary – Indian Affairs oversees the BIA, which is headed by a director who is responsible for managing day-to-day operations through four offices – Indian Services, Justice Services, Trust Services, and Field Operations. These offices directly administer or fund tribally based infrastructure, economic development, law enforcement and justice, social services (including child welfare), tribal governance, and trust land and natural and energy resources management programs for the nation’s federally recognized American Indian and Alaska Native tribes through 12 regional offices and 81 agencies. The Office of Indian Services Division of Human Services administers the BIA’s ICWA regulations at 25 CFR Part 23 and the Guidelines for State Courts. For more information, visit http://www.indianaffairs.gov/WhoWeAre/BIA/OIS/HumanServices/IndianChildWelfareAct/index.htm. 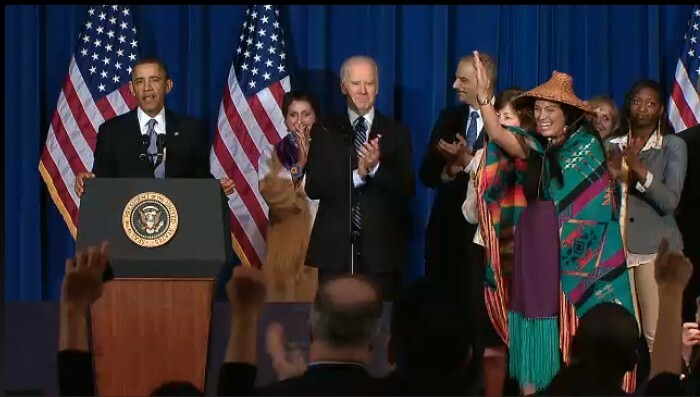 On March 8, 2013, President Barack Obama signed into law the reauthorized Violence Against Women Act that includes tribal provisions. The Vice President delivered a call to action saying, “Tribal governments have an inherent right, as a matter of fact they have an obligation, to protect their people. All people deserve to live free of fear.” He urged all tribal governments to be prepared on March 7 when the law goes into effect to use their authority to aggressively prosecute domestic violence offenders. He stressed the need to change the culture that too often leaves victims asking what they did wrong and instead to focus on sending a strong message that violence against women is always unacceptable. Vice President Biden also acknowledged that we have much more to do to protect Native women from violence including giving Alaska tribes the same authority and expanding the provision to cover sexual assault and other crimes. Biden called on Congress to appropriate the $25 million in grants authorized in VAWA 2013 to implement the new law. Attorney General Eric Holder followed Vice President Biden, and strongly stated the Department of Justice’s commitment to improving law enforcement in Indian country, and to institutionalizing that commitment so that it will continue. He announced that he has implemented a Statement of Principles to guide the Department’s work with tribal nations into the future. Sandra Bercier, interim director of the Native American Training Institute, said there is an acute need for Native American foster homes in both North and South Dakota. BISMARCK, N.D. — A panel at the Tribal Leaders Summit on Thursday addressed problems facing the implementation of the Indian Child Welfare Act. The mission of ICWA, first founded in 1978, is to keep or reunite Indian children with their families. According to panelists, the numbers of Indian children put in foster homes remains high. The consensus among the panelists is that the obstacle facing implementation of child welfare programs on reservations is lack of funding. Sandra Bercier, interim director of the Native American Training Institute, said that because the programs are underfunded, they also are understaffed. It is also hard to find permanent employees, said Leander McDonald, chairman of the Spirit Lake Tribe. Child welfare programs are the hardest place to work, Bercier said, because staff sometimes take children out of homes. Another significant problem is the lack of foster homes and families on the reservations, she said. 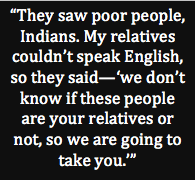 Indian children who are taken from their families will often end up in a non-native family instead. The tribal leaders from South Dakota, though, emphasized an issue specific to that state. “The problem is that there was this systemic institution that incentivized the removal of Indian children,” said Chase Iron Eyes, tribal judge of Lakota People Law Project. According to Iron Eyes, the state of South Dakota earns $60 million from the federal government for the placement of Indian children into foster care. South Dakota has a system of 48 hour hearings. The parents are required to go to court within 48 hours after their children were taken away, according to Tom Disselhorst, attorney for United Tribes Technical College. The timespan doesn’t give them a chance to find a lawyer, he said, and they often don’t know why their children have been removed. B.J. Jones said that the majority of these situations in South Dakota have nothing to do with abuse or neglect, but more often it is because the parent committed a misdemeanor like forgetting their license while driving. He said society criminalizes poverty and Indian mothers are now afraid to drive because, if they are stopped by the police, their child could be taken away. The Oglala Sioux Tribe and the Rosebud Sioux Tribe have filed a class action lawsuit against the state of South Dakota, and hope it will be part of the solution. They are accusing state officials of violating the Fifth Amendment by not providing opportunities for due process. Due process includes that an attorney is required in court, which many Indian parents don’t have in the 48-hour hearings. If the lawsuit reaches the 8th Circuit Court of Appeals, it may require other states to change their policies as well, said Disselhorst. Washington D.C. (KELO AM) – U.S. Senators Tim Johnson (D-SD), James Inhofe (R-OK), Heidi Heitkamp (D-ND), and Lisa Murkowski (R-AK) today introduced the Tribal Adoption Parity Act. The legislation ensures parents adopting American Indian and Alaskan Native children through tribal courts are treated fairly under our nation’s tax code by making it easier for adoptive parents across Indian Country to claim the full adoption tax credit for “special needs” children. Under current law, parents adopting a child who has been determined by a State as “special needs” can claim the full adoption tax credit regardless of their qualified adoption expenses. Congress created the “special needs” determination to provide an added incentive for parents adopting children who might otherwise be difficult to place in adoptive homes. In Fiscal Year 2011, 84 percent of the nearly 50,000 children adopted through public agencies were designated as having “special needs.” Parents adopting children through tribal courts, however, are currently ineligible for the special needs adoption tax credit. This unfortunately results in parents and children throughout Indian Country unfairly missing out on an important tax credit that would make a significant difference in their day-to-day lives. Becoming eligible for the special needs adoption tax credit would help further reduce the financial costs associated with adoption and lessen administrative burdens. In 1978, Congress passed the Indian Child Welfare Act that gives Indian tribes exclusive jurisdiction over custody proceedings involving Indian children within a reservation. The special needs adoption tax credit currently fails to recognize the authority that tribal governments have over adoption proceedings of Indian children. The Tribal Adoption Parity Act would amend the Internal Revenue Code to provide fair tax treatment to parents adopting Indian children through tribal courts. As a result, a tribal government would be permitted to designate an adoptive Indian child as having “special needs.” This legislation would ensure that families in Indian Country are treated fairly by providing the same financial relief that adoptive families currently receive across the nation. 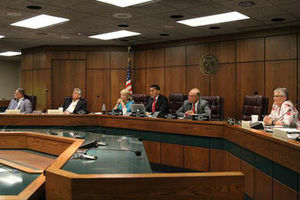 The bill has been endorsed by organizations such as the National Indian Child Welfare Association, the Child Welfare League of America, Voice for Adoption, the American Academy of Adoption Attorneys, the Donaldson Adoption Institute, and the Joint Council for International Children’s Services. In 1996, Congress created the adoption tax credit to ease the initial financial burden for adoptive parents. The adoption tax credit provides a tax credit of up to $10,000 and is adjusted for inflation. The credit was $12,970 for tax year 2013. Since 2003, families adopting children with “special needs” are allowed to claim the full adoption tax credit regardless of their qualified adoption expenses. The definition of “special needs” varies from state to state. Examples of factors that can qualify a child for the “special needs” determination include: age; membership in a minority or sibling group; ethnic background; medical condition; or physical, mental, and emotional handicaps. The National Taxpayer Advocate Service, an independent organization within the Internal Revenue Service, recommended the adoption tax credit be amended to recognize tribal governments in its 2012 Annual Report to Congress, which can be accessed here. 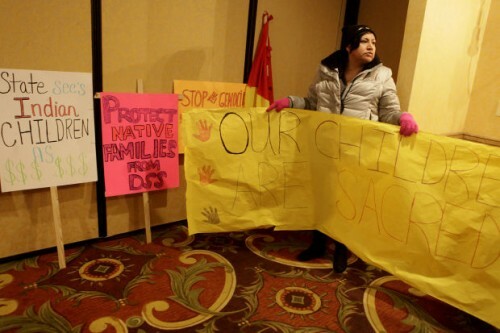 Dana Fast Horse carries posters at the American Civil Liberties Union press conference in Rapid City on March 21, 2013. Families and tribes claim that temporary custody hearings were too short and violated rights guaranteed under the 14th Amendment. Court reporters who produced the transcripts during the hearings have until June 1 to produce the files. By the end of the month, attorneys representing Native American families and two tribes in a federal child welfare case will know more about what happened during hearings that gave the Department of Social Services temporary custody of children.The Oglala Sioux and Rosebud tribes took the lead for three parents in a class action lawsuit challenging the practices of the 7th Circuit Court, the Pennington County State’s Attorney’s office and the Department of Social Services during temporary custody hearings that must take place within 48 hours of removing a child from a home. The parents claim the Indian Child Welfare Act hearings are too brief, sometimes as short as two minutes, and violate parental rights guaranteed under the 14th Amendment. 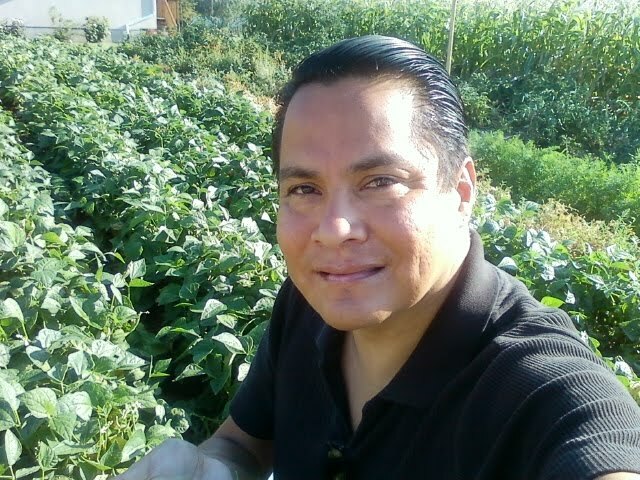 In mid-March, U.S. Chief District Judge Jeffrey Viken granted the tribe’s request for transcripts of more than 100 of the hearings, which are referred to as 48-hour hearings. He gave the judges who presided over the hearings two weeks to order transcripts of the hearings. Those confidential hearings are at the heart of the plantiffs’ case, which contends that children are frequently taken from their homes for 60 days after hearings that often last no more than two minutes. Presiding 7th Circuit Judge Judge Jeff Davis ordered transcripts of his hearings. Judges Wally Eklund, Thomas Trimble, Craig Pfeifle and Robert Mandel did not order transcripts. The judges claimed Viken’s order threatens the distribution of authority between state and federal courts. Transcripts were also not forthcoming from hearings held in front of former Judge Mary Thorstenson. Last week, Viken chose to circumvent the judges’ reluctance to order the transcripts by ordering the court reporters who recorded the hearings to produce the transcripts. They have until June 1 to produce the transcripts. The plaintiffs will have to pay for the transcripts that will be treated as confidential. “Production of the 48-hour ICWA hearing transcripts is critical to the resolution of the issues in this case,” Viken said in his order.